The Barcelona Marathon began in 1980 and its fame has been growing over the years. 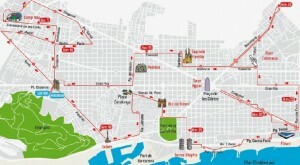 Last year the Barcelona Marathon reached a record of participation of 16,743 athletes registered. This year, registration are going well so organizers expect to even exceed that figure. Registration closes on the 3rd of March, so there is still some time left to complete yours. 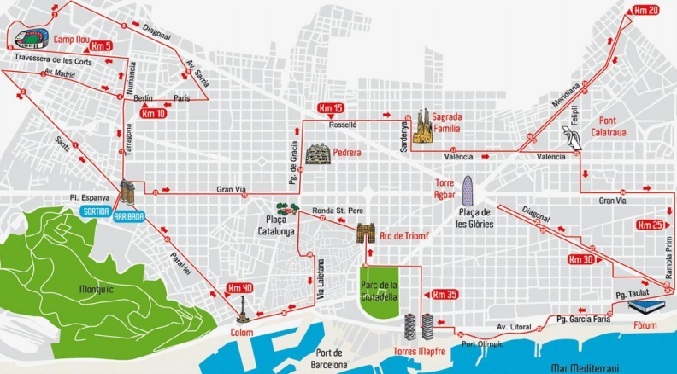 The Barcelona Marathon starts at 8:30h at Avinguda Maria Cristina (Plaça Espanya) and ends at the exact same point. Athletes have 6 hours to complete the 42,195km. Barcelona Marathon is a great event for the city of Barcelona, half of the city is closed to traffic and people take to the streets to cheer on the thousands of runners to get such adventure.